Joe Graham & Son have a highly skilled workforce with expertise and experience in repairing and installation of all Electrical and Gas Domestic Appliances. To learn more about our appliance repairs, please visit our website here. We pride ourselves on our commitment to our customers, providing friendly and reliable service, offering value for money on spares, repairs and installations. We are based in Luton but are happy to undertake work in Hertfordshire, Bedfordshire and Buckinghamshire. If you require spares and appliance repairs in Luton for your appliances or DIY needs, then be sure to contact Joe Graham & Son Ltd. today or give us a call on: 01582 725783. We have a vast warehouse stocked with spare parts for all your domestic needs, whether you are in the trade or a DIY enthusiast, including a large range of consumable items, such as bags, belts, bulbs, and cleaning materials. If we do not hold what you need as a stock item, then we will endeavor to get this for you as soon as possible. These spare parts can be implemented across a wide range of products and can repair many issues within your appliances. If there are more serious issues regarding your appliance and you cannot repair it with a spot of DIY with spare parts, then it may be time to consider hiring us to repair your appliance. When your beloved appliance becomes seriously damaged or has an issue that requires repair then it may be time to hire our highly skilled and experienced team to repair your appliance. Here at Joe Graham & Son, we offer a wide range of appliance repair services in Luton and the surrounding areas so that you can get your appliance working again effectively and efficiently. 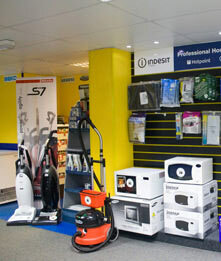 We offer a comprehensive and affordable repair service across a range of appliances. When your appliance breaks down it can be extremely inconvenient. We have tailored our appliance repair service to make sure that your appliance working again safely and effectively and at minimal hassle to you. Washing machines are appliances that experience a lot of kinetic wear due to the nature of the washing cycle. There are also a range of issues that are not possible to diagnose with simple observation so it is generally advised to seek the advice of a repair specialist when your washing machine starts to underperform. Our highly skilled work force have a wide range of expertise and experience in washing machine repairs and will be able to work out the issue and repair it for you. If your washing machine is beyond repair, then they will also be able to offer you advice such as how to go about making an upgrade to a new washing machine appliance. If you require washing machine repairs in Luton then give us a ring on: 01582 725783. Cookers are arguably the most quintessential aspect of your kitchen area and when your cooker breaks down it can be extremely inconvenient for your family. When your cooker starts to show signs of breaking down, it’s very much advised and necessary for a technician to come to repair your appliance. This is due to the fact that repairing gas appliances requires a qualified technician and can be dangerous if not installed correctly. Our expert team are qualified to repair your cooker as well as ensure that it is repaired safely and properly. If you require cooker repairs in Luton ensure that you ring our team on: 01582 725783. Ovens are possibly safer to diagnose yourself if they are an electrical oven. This is due to the fact that gas installation is not required and therefore you are simply unplugging the appliance and attempting to observe the problem. Similarly, with gas cookers, if your oven is a gas oven then it is vital that you call our expert repair team to arrange for a qualified specialist to come and repair your oven appliance. It is often not worth the risk to attempt to repair your appliance if you are unsure about it so if in doubt give us a call and we will be more than happy to assist you! If you require oven repairs in Luton then be sure to call: 01582 725783.